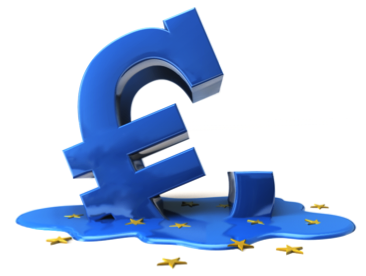 The euro was trading $1.1150-$1.1220 a week ago. The launching of the ECB's bond buying program coupled with another strong US employment report jumped started the euro's slide, after consolidating mostly last month. The euro slipped to just below $1.0725 today. Comments from Jason Furman the Chairman of Economic Advisors to President Obama helped stabilize the euro. He acknowledged that the dollar's strength curbs US growth. This is not new insight. Everyone recognizes this. However, why take it in isolation. There are other factors that help blunt the impact of the strong dollar. In her recent congressional testimony, Yellen noted that bond yields and oil prices have fallen. She argued on international factors are broadly balanced for the US. The dollar's rise is also partly a reflection of favorable developments in the US. As recently as last Friday, before the US jobs data, the implied yield of the December 2015 Fed funds futures contract was 45.6 bp. In response to the data the implied yield jumped to 58.5 bp. It is consolidating now. Hawkish comments by some a couple of regional presidents, one of whom is stepping down in a couple of weeks, failed to push the implied yield higher. Similarly, the US 2-year yield tested the pre-weekend high yesterday near 73 bp, but is now near 67 bp. More important for the dollar was the other side of the divergence story: namely the sharp decline in European bonds yields. Core and periphery yields are sharply lower. The 10-year German bund yield has almost been halved since the ECB meeting. Prior to the meeting the yield was near 42 bp. Today it is a record low 23 bp. Yields in the periphery have fallen by nearly as much, leaving the spreads little changed but yields lower across the board (leaving aside Greece as a special case). The Eurosystem is only just beginning its sovereign bond purchase program. The central banks seem to be probing and testing the market. One interesting development has to do with negative yielding instruments. According to press reports, the ECB has acknowledged that there has been no agreement on what to do with losses from below zero interest rates. Roughly speaking around a quarter of European sovereign bonds have a negative yield. The lack of agreement on how to treat losses seemed to suggest that officials might want to avoid such instruments for the time being. This may not be the case. Reports indicate that German, and possibly Dutch bonds with negative yields were bought yesterday and/or today. Germany 5-year bunds, currently yielding -12 bp, were thought to have been bought. The Geman yield curve is negative through seven years. The 2 and 3-year yields are lower than the -20 bp deposit rate, which would exclude them from the bond buying program now. The Dutch yield curve is also negative out through seven years. No tenor has a yield less than -20 bp. Even if interest rate losses are incurred by the national central banks, they have buffers for these sort of things. The losses are likely to be modest and relatively easily absorbed. The bond market rally, for example, that is pushing yields below zero, generate profits for the same central banks. Officials are thought to be concentrating their efforts in the long-end of the curve. This is creating bullish curve flattening. The 30-year bond yields are falling further than 10-year yields, which are falling more than 2-year yields.